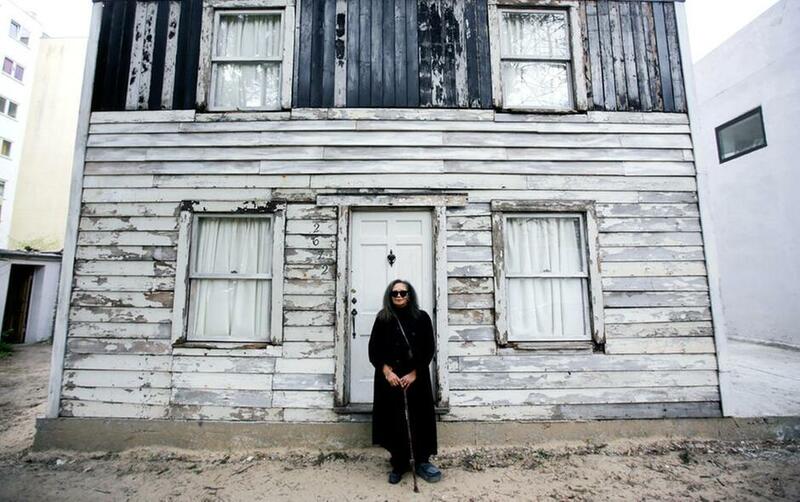 Rhea McCauley, a niece of the late civil rights activist Rosa Parks, poses in front of the rebuilt house of Rosa Parks in Berlin. Brown University announced Thursday, March 8, 2018, it has canceled plans to display the house where Rosa Parks lived after sparking the Montgomery bus boycott. PROVIDENCE, R.I. (AP) — Brown University has canceled plans to display the house where Rosa Parks lived for a time after she left the south and moved to Detroit. The house had been on a demolition list until it was saved by Parks' niece and artist Ryan Mendoza, who moved it to Berlin. He brought it back to the United States in pieces last month with Brown's backing, and was reassembling it when the Ivy League university made the abrupt announcement Thursday. Parks' niece, Rhea McCauley, called the decision a missed opportunity and said the university had not consulted with the family. "They made this decision on their own," she said. Brown cited an unspecified dispute involving the R osa and Raymond Parks Institute for Self Development, which Parks co-founded but which has feuded with relatives in the past. Brown spokesman Brian Clark said in an email that the university "took steps quickly upon learning recently about the dispute." "Brown is not a party in the dispute and therefore we are not in a position to speak about the nature of the dispute," when asked for more details. "Also, we know that individuals involved in the dispute intended to object strongly if the exhibit proceeded. It is out of our respect for the legacy of Rosa Parks that Brown is stepping aside." "The truth is, she didn't stay there," he told the newspaper. 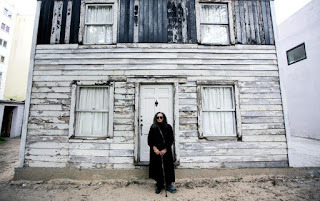 "It's a house which Rosa Parks' brother and his family used to live in. It's no more Rosa Parks' house than it is my house." McCauley disputed that, as did Ray Rickman, a Providence community activist who worked with Parks for three years in the office of U.S. Rep. John Conyers in Detroit. Rickman, who sometimes drove Parks to church, recalled driving by the house with Parks one day. "She told me she used to live in it. And I laughed and said that's a tiny house, and she said a lot of people lived in it," he said. "It was something to that effect. And then she laughed and I laughed and changed the subject." Mendoza had planned to reassemble it piece by piece for a display that was due to open to the public next month. He said someone told him a lawyer had threatened Brown with a cease-and-desist letter, and he learned Thursday afternoon that the display was canceled. He pointed out that the decision was announced a few hours after he published a statement calling on Brown to rename itself "Rosa Parks University." "Maybe Brown took on a project too big for them," Mendoza said. "Brown does not command this ship, and this house will go on to find a better home, but it breaks my heart that there should be such vast cowardice, everybody's ducking and hiding." McCauley called the house a part of history and said the project was an effort to help students "understand Auntie Rosa's legacy." "It's a missed opportunity for Brown University to begin to repair the legacy of slavery," she said.